Breaking bad news is never easy. Last month, CNN.com reported on the hospital stay of a California man named Ernest Quintana, 78. He had lived with chronic obstructive pulmonary disease for years, and was deteriorating. His family knew he’d die soon. One night, Quintana’s granddaughter, Annalisia Wilharm, was at his bedside. The doctor entered. He said unfortunately there was nothing more they could do to treat Quintana very effectively. When Wilharm told her grandfather that the doctor was recommending hospice care, the doctor said he didn’t know if Quintana could make it home. He explained that the best plan was to focus on Quintana’s comfort. Wilharm called her mother and grandmother to return. The next day, Quintana died. Wilharm complained to the hospital. Why? Not about the news. That was expected. But about the fact that the doctor who delivered the news did so via a video screen on a robot. 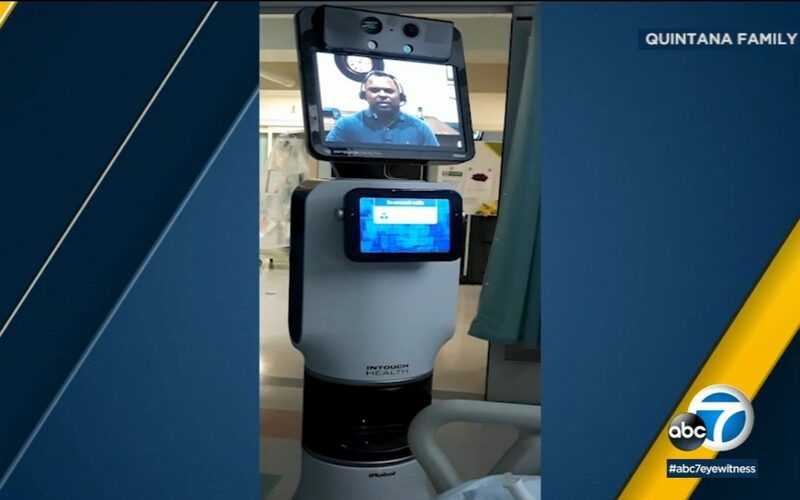 The small hospital uses the robot to make nightly rounds. Michelle Gaskill-Hames, a spokesperson for Kaiser Permanente, disputed the term robot. She described the interaction as “a live conversation with a physician using tele-video technology”, always with another health care professional in the room. She said the hospital looks for ways to integrate technology into patient interactions. “In every aspect of our care, especially when communicating difficult information, we do so with compassion in a personal manner,” said Gaskill-Hames, who did apologize. Did the hospital mess up? It’s understandable why Wilharm and her family were upset. But the issue here is more with the medium than the message. To his credit, the robot doctor was direct without being harsh, did express regrets and explained the best possible scenario (at that point, comfort). Those are all good things. In everyday interactions, we usually don’t have to deal with life-and-death issues. But we do have to break all sorts of bad news to colleagues, friends or family. What’s the best way to do it? Dan Pink, author of When: The Scientific Secrets of Perfect Timing, advises to avoid the “I’ve got good news and bad news” approach. Here’s why. We tend to turn it around in the wrong direction. In studies, 80% of people want to hear any bad news off the bat. If there is good news to be had (not always the case), we like to hear it last. That way we end on a higher note. Inc. reported on a study out of Brigham Young University. It found shows that people want the bad news breaker to be clear and straightforward. Don’t dance around the elephant in the room. Researcher Alan Manning says you don’t need more than a few seconds of small talk buffer. “If your house is on fire, you just want to know that and get out,” he told Inc.
Manning echoed Pink’s view: “If you’re on the giving end, absolutely, it’s probably more comfortable psychologically to pad it out.” People on the receiving end, he says, would much rather get it out of the way. So be frank, and say what needs to be said. Ideally, you should do it face-to-face too, showing respect with a human connection. Which is where Kaiser Permanente fell short. Maybe we can handle bad news said robotically. We just don’t want to hear it from a robot.